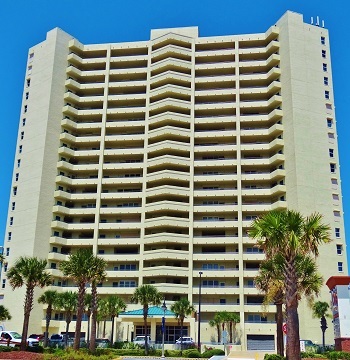 The Towers Ten Condominium is located in Daytona Beach Shores and is one of the tallest towers on the drive beach. Amenities include a fully equipped state of the art fitness center and clubroom with kitchen. A beautiful heated pool and spa overlook the beach. There are 3 bedroom and 2 bedroom floor plans for sale. Penthouse units have some of the best views in Daytona Beach Shores! This 21 story, 114 unit complex has a 2 week minimum rental policy and allows 2 pets up to 60 lbs. Dining, shopping and the community center are within walking distance. Drive further south to the southern most tip of the peninsula and you will find another quaint beachside town of Ponce Inlet.